Mark Twain was an American author and novelist, most famous for his works The Adventures of Tom Sawyer and Adventures of Huckleberry Finn. What many don’t know however, is that Twain was also an avid speaker, traveler, a lover of science and technology, an advocate for civil rights, and an all-around leading thinker for his time. Known for his satire and wit, much of Twain’s commentary is poignant and can still offer us guidance today, more than 100 years after his passing. 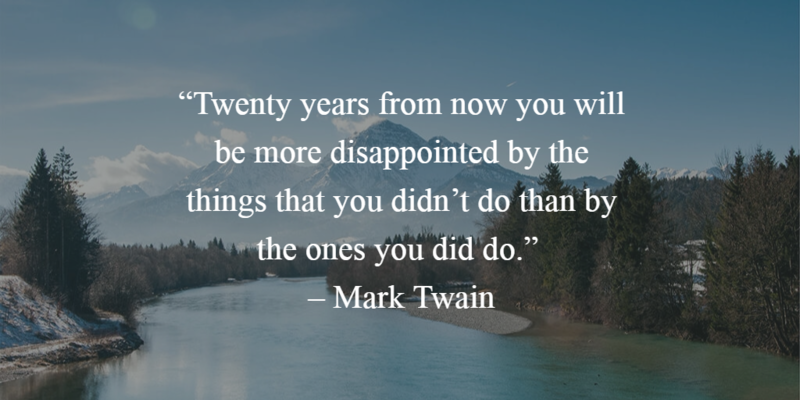 Here are 21 Mark Twain Quotes to inspire you today. Attention Pick the Brain Readers! I hope you enjoyed this post. MORNING MASTERY: The Simple 20 Minute Routine For Long Lasting Energy, Laser-Sharp Focus, and Stress Free Living.